A elegant set of gold and vintage floral illustration specially made for your wedding celebration. There are 2 palettes available: the black palette, and the color palette that has editable background color. 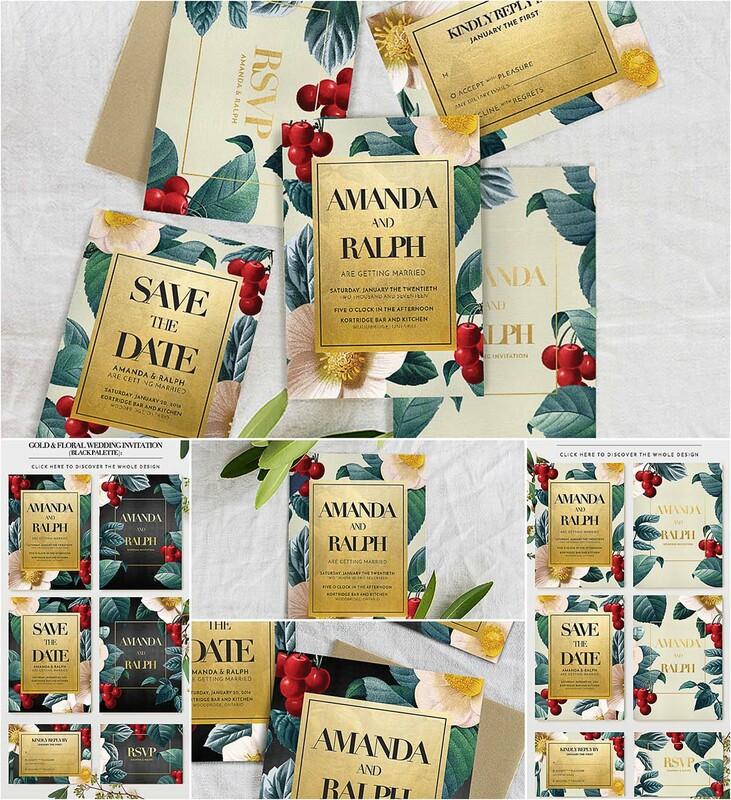 Inside the package, you will get: wedding invitation, save the date, and RSVP. File format: .psd, .png, .ttf for Photoshop or other software. 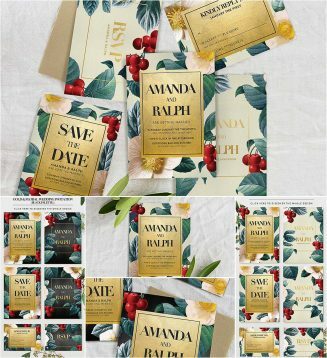 Tags: floral, foliage, gold, rsvp, thank you card, wedding font, wedding invitation.